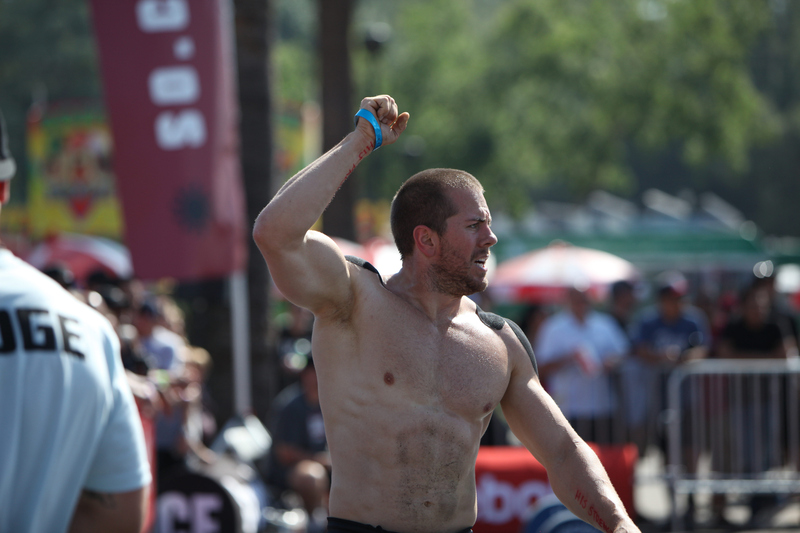 The 2014 CrossFit Games Open was one to remember for myself and my top athletes. I had my best ever finish in the Open and not just for my region (6th place in Socal), but worldwide I finished 42nd! In the past I have always seen the Open as just a stepping stone to regionals and focused more on preparing for the next stage rather than truly challenging myself with the Open workouts. I realized that I was using that as an excuse to not go all out or see what I was capable of and going into this years Open I decided to attack every workout with everything I had. I wanted to start strong and 14.1 was solid for me; 397 reps earned me 13th place in SoCal. Then 14.2’s combination of chest to bar pull-ups and overhead squats brought my best performance in the Open ever; 346 reps was 10th best in the world (2nd in SoCal)! I could not have been more fired up. Then heading into 14.3 things got a little off track. Prior to the workout even being announced I hurt my back/hamstring and was having trouble even bending over. I took some extra rest days and managed to recover enough to get through 14.3’s high volume deadlifts. I played the workout safe until I got to the 315# deadlifts where I finished with 24 reps at the weight (154 reps overall, 30th in SoCal). At full strength that workout is a fantastic one for me but I was happy with my score considering my injury and lack of training leading into it. Going into the fourth week of the Open I was again taking it easy to heal up my back, so I went into 14.4 having only worked out the prior Saturday for 14.3. I was able to pull off a solid performance and get 31 calories into round 2 (231 reps overall, 17th in SoCal). Heading into the final week of the Open my back was feeling much better. Then I was lucky enough to come down with a stomach bug and once again I was forced to rest all the way up to performing 14.5 on Saturday. Despite the setbacks I am really happy that I went into this year with a different mindset and I pushed to my limits for those scores. My training partner, Nick Robles, qualified for the first time as an individual in the SoCal region. This was huge for him after taking a month off of training this past fall due to an injury. He has been hard at work alongside me making his comeback and it was great to see him crush it and go hard! The ladies of Kinnick Butter absolutely crushed it with all four of them qualifying individually. They put out some truly impressive performances and seeing them come into their own this year was amazing. Elyse Persico put up the 9th best score in the WORLD on 14.2 (334 reps) and is a force to be reckoned with. Melody Sanchez had two Open finishes in the top 10 for SoCal (6th on 14.2 and 4th on 14.4). Christine Navarro was extremely consistent all the way across the board and it has been great seeing her become so well rounded. My wife, Giermaine Kinnick has made such incredible progress in a year and I am so proud to see her achieve the things she has. Not only did she improve her overall placing by 63 spots from last year to this one, she got her first ever muscle ups in a CrossFit competition during 14.4. This has been something she has worked for all year and I love seeing her drive and determination pay off. I cannot wait to see her crush it on the team at regionals! The butter doesn’t stop spreading there though…CrossFit Kinnick is looking to field two teams this year at the SoCal Regional and Team Kinnick has a chance to qualify after the leaderboard reshuffles when the top 48 decide whether to compete as an individual or on their team! What a year! The fun has just begun…stay tuned because the #kinnickbutternation is ready to do big things this year! How do you stack up on 14.4? Beyond the Whiteboard has been accumulating some legit data throughout the 2014 Open and they put together this awesome graphic for 14.4! 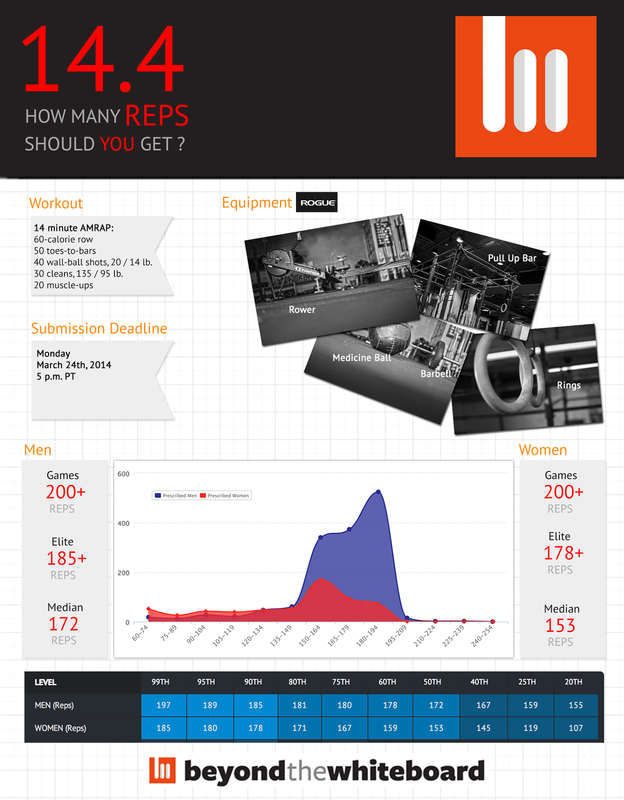 Check out the average scores for men and women along with the numbers that top level athletes are reaching. Overall it is no small task to reach the muscle ups in this workout and only the best of the best are completing all 20 to move on to round 2. Where does your score put you? This was a fantastic workout for me and my score of 231 (1 full round + 31 calories on the rower) is looking strong on the leaderboard. Loved every minute of this workout! 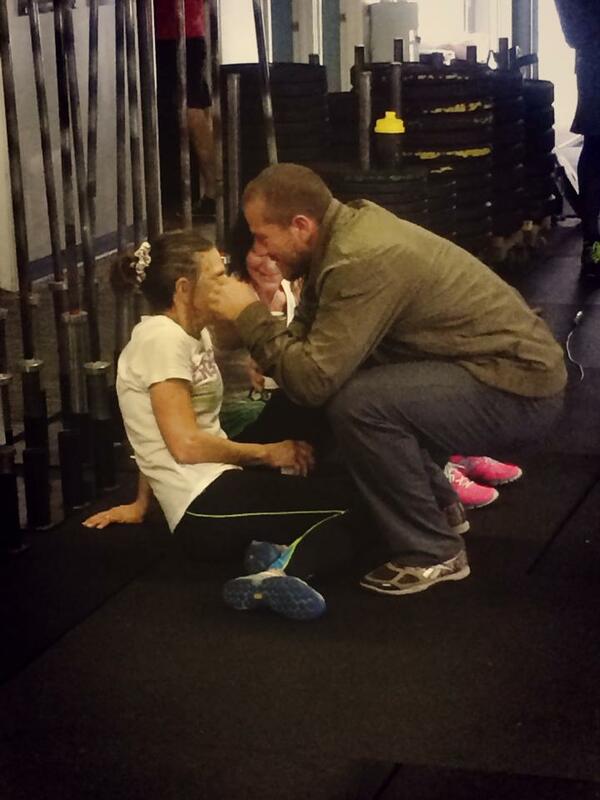 My mom, Patricia Kinnick, and I after she battled through 14.1! The Open is one of the best times to be a CrossFitter. 5 weeks of pure CrossFit fun. The entire community gets an amazing opportunity to push the limits and fully feel the thrill of CrossFit competition in the comforts of your own box. We are glued to the leaderboard, watching the best in the world show us what is possible. This has been a huge year for my own training and it is great to see my hard work paying off. However, one of the best parts of the Open for me is getting to see my CrossFit Kinnick family accomplish things they never thought possible. This is an awesome year in particular because my mom, Patricia Kinnick, is competing for the very first time. She has been CrossFitting since CrossFit Kinnick first started in my 3 car garage in 2007 and she still hits PRs on her lifts and workouts at 61 years young! Previously she had been very intimidated by the Open and felt that she wouldn’t be able to handle the workouts or some of the tougher movements that could come up. This year she decided to go for it and it has been incredible getting to watch her compete and overcome her fears. This is what the Open all about! So far she has done double unders in 14.1 (she normally does single unders in her WODs) and hit a PR on her overhead squat in 14.2 with 45# (and then proceeded to squat it 32 times!). She is a big inspiration to me, check out the clips of her working through 14.1 and 14.2!